I decided to do a write up on this because I had a hard time finding any info on the subject. . So a write up would help greatly for anyone lookin to do this modification. . .
Ok, the first few steps, I didnt have my camera, so I didnt get pics, but it is pretty simple. . I made my frame completely level so when I cut the frame, it would be perfectly straight, up and down. . Mark the frame on both side, and on the top on where you wanna cut it. . . Then you need to mark 2 horizontal marks. . Whatever amount you are wanting to Z, thats how far they need to be apart. . I did a 1&quot; Z, so my 2 horizontal lines were 1&quot; apart. . Do these lines on the outside of each frame rail. . 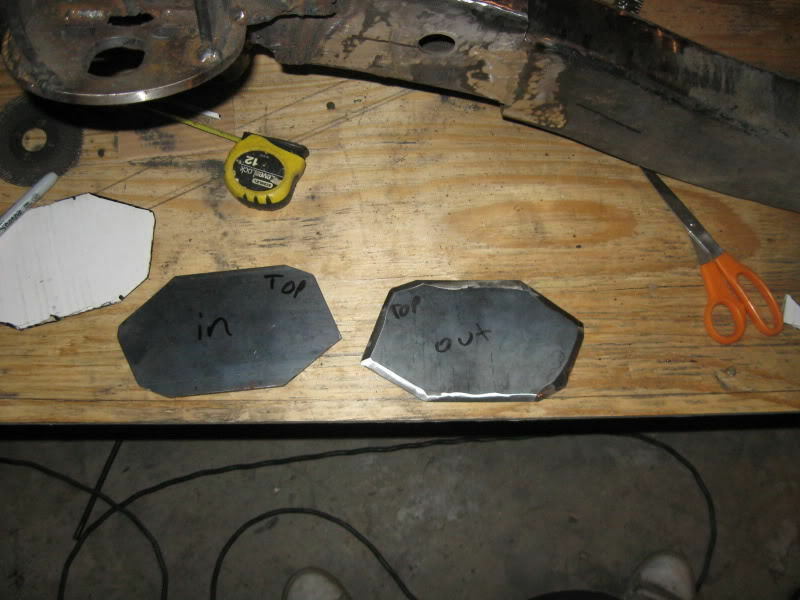 They are going to be the base marks for after you cut the frame and move it up. . .
Next thing to do is to cut the frame. . I used a grinder with a cut off wheel to cut the tops of each frame rail. . then a sawzall to cut down each side and to cut the bottom. . 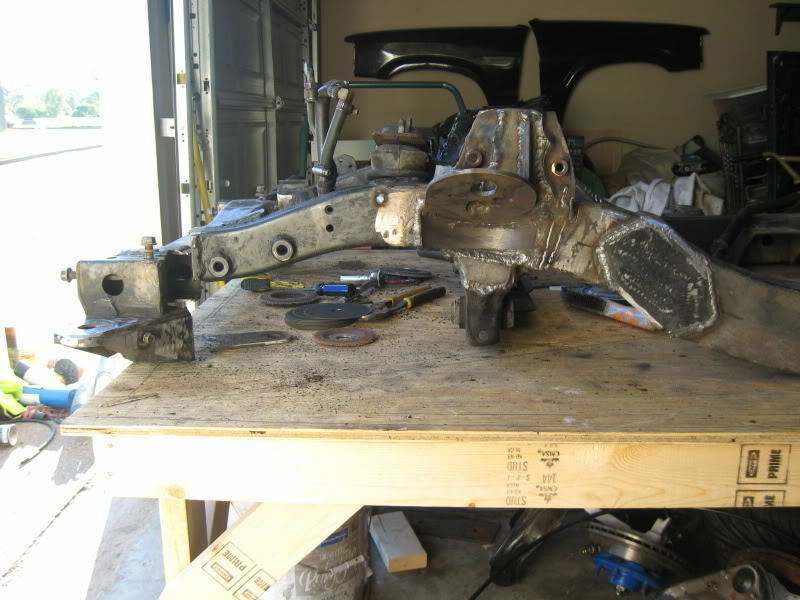 I was Z'ing the front frame with no engine or cab on it, so it was easier than if the engine woulda been in it. . But you need to support the section that you are cutting off. . Once the cut has been made, you need to raise the section that is being Z'd. . 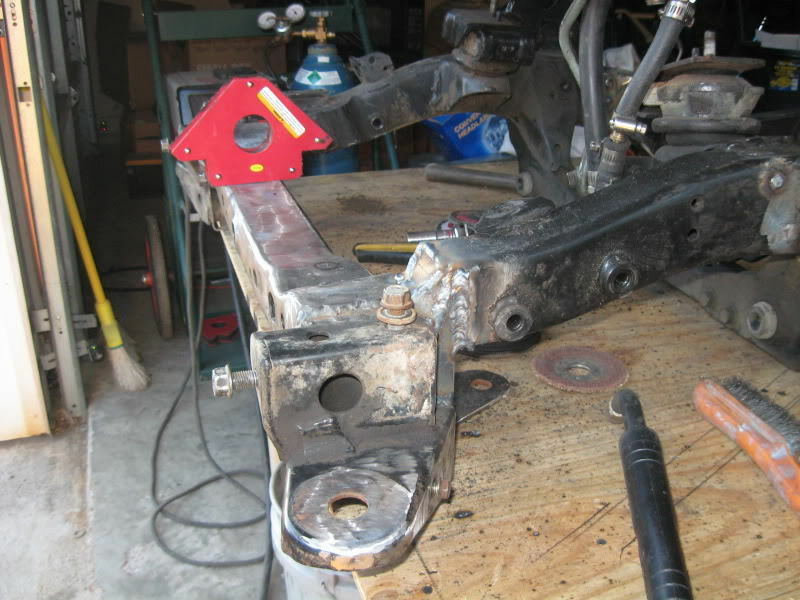 In my case, the section of frame that the control arms mount to was getting raised 1&quot;. . .
Once you have the frame raised up so the 2 horizontal marks that you made earlier are aligned, measure it again to verify that it has bee raised the correct amount. . . 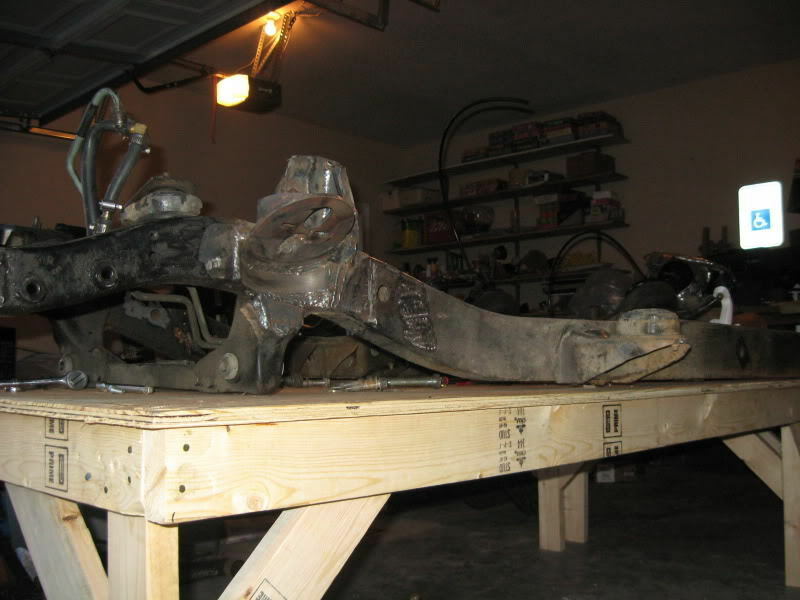 If it is right, then tack the frame up on the inside and outside of each frame rail to hold it in place. 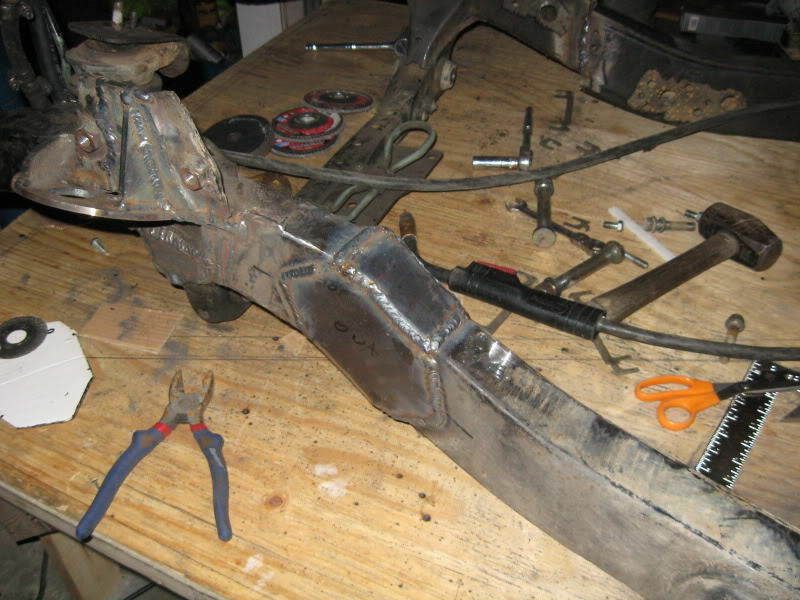 . . Then fully weld down the inside and outside of each frame rail. . Now you need to grind down these welds to get them as flush to the frame as possible. . Then you need to make brace plates to overlap each of the stock frame rails. . I had to bend mine a lil to get them to fit good. 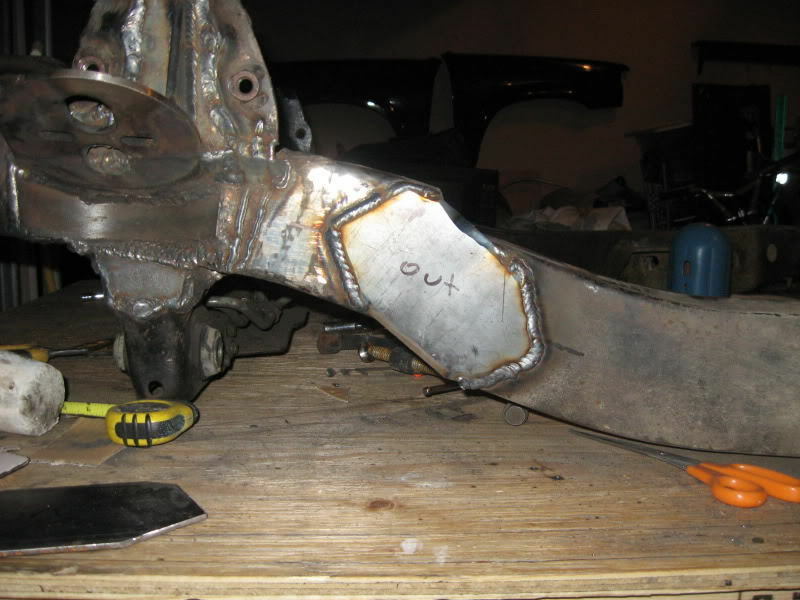 . . Then bevel the edges of the brace plate to ensure good penetration of the metal. . Then tack them in place, and check how it fits. . Once you are satisfied, fully weld each of the 4 brace plates on. . Then you need to make fillers for the top and bottom sides of the frame rails. . I made a small filler and a larger filler, to overlap. 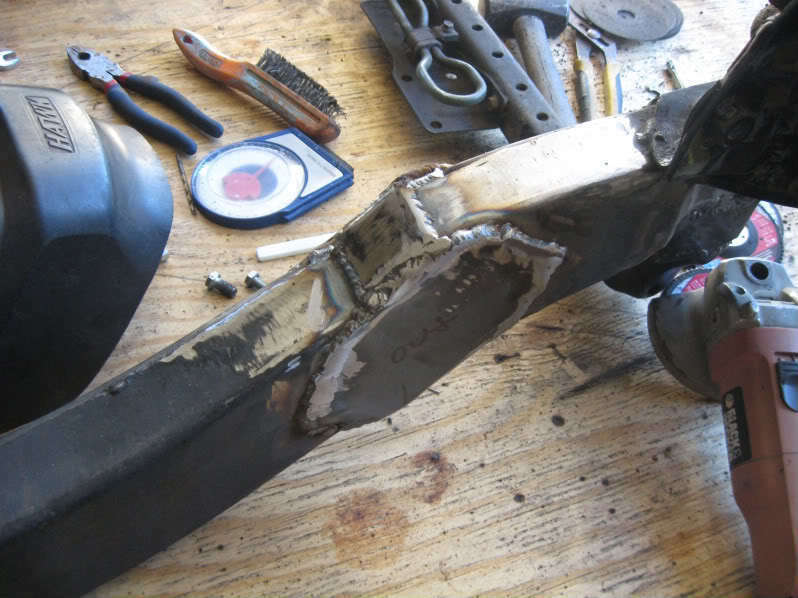 . . Bevel the edges of the fillers, and weld them on. 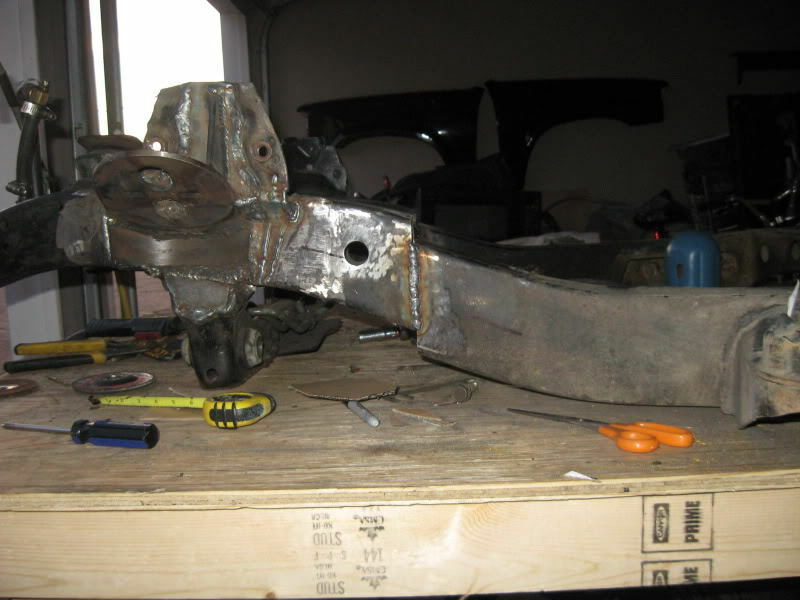 . . Then you can grind em down some to get em lookin a lil better, or jus leave it and prime and paint it to prevent rust. .
Then you need to drop the front crossmember DOWN the same amount that you Z'd. . Once again, in my case, 1 inch. . 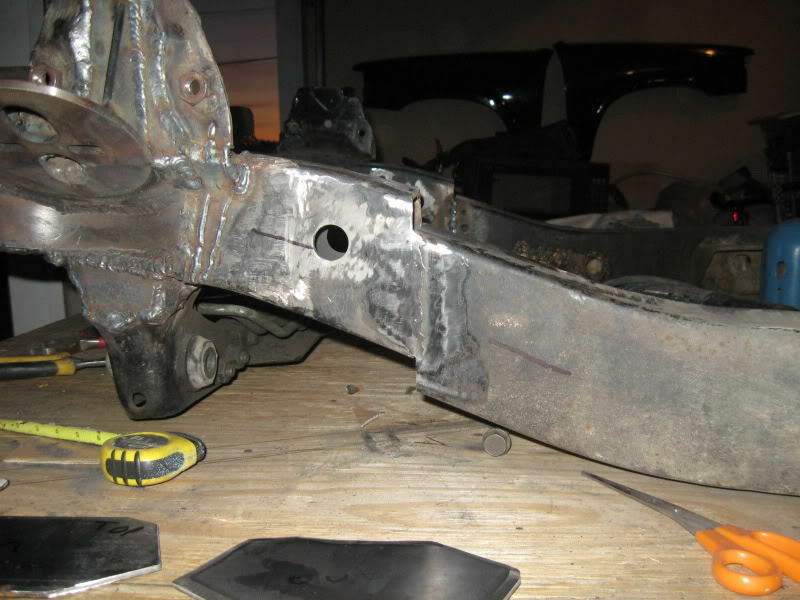 I had already cut my crossmember off, but you need to decide where you feel is best to cut it, I cut mine right after the crossmember. . Then I dropped it down 1&quot; and tacked it in place, then I made filler plates and welded them in. . My truck is also bodydropped, as you can see the frame horns dropped as well. The bottom side still needs to be braced up but that will be after a while, because I will do it when I flip the frame over. . But it is the same concept as the top side. . Just fully box in the areas that are now open and gusset it to add strength. . .
Post was last edited on Aug 11, 2009 09:08. This post has been edited 1 times. Ya, its cuz I hadnt done it yet I'm addin the pics now. . . .
Good writeup Josh. Definitely covers the basics of the process. Yesterday or this morning? ? I wrote up the initial post and 4 hours later, added the info and pics about the front half. .